Product information "Uovo Table Light"
The unique design of UOVO table lamp will inspire you. The innovative table lamp consists of a structure made ​​of white metal and white hand-blown glass. With the lamp from the house of Fontana Arte, you get a real eye-catcher in the house. Sizes medium and large are dimmable and the dimmer is included. 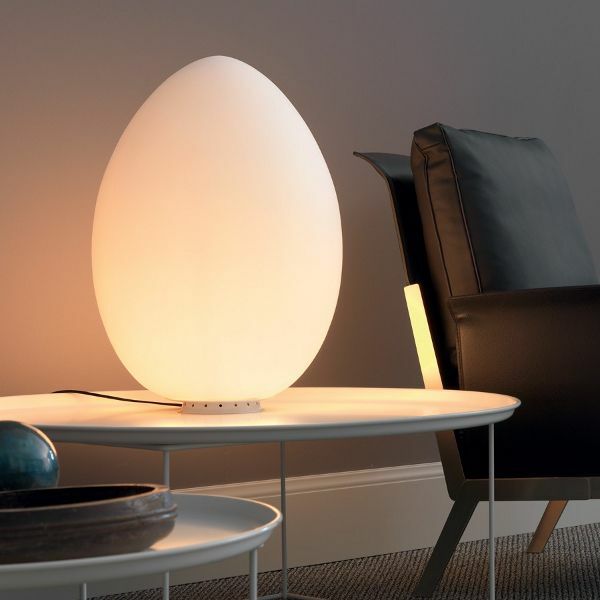 Related links to "Uovo Table Light"